Fitness, and Give Them Realistic Self-Defense Techniques! 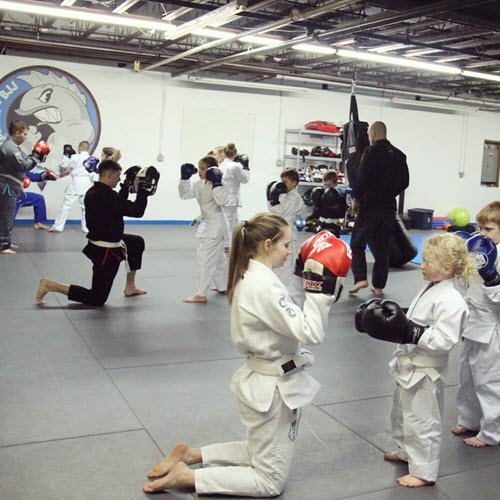 Are you thinking about starting your child involved in martial arts? Then you’re going to love what I’m about to share with you. increase speed, stamina, agility, develop balance, coordination and timing, which helps your child in sports and other activities. ...and you can try our program for 7 days completely FREE! I’d like to tell you a little bit about myself and my children's martial arts program that has lots of parents from the Montgomery County (King of Prussia, Chalfont, Bridgeport PA) area raving about the positive benefits our program has to offer them and their children. 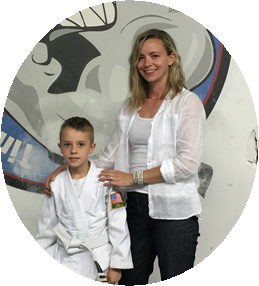 "After training at Tiger Schulmans for 4 years, my son Bennentt was ready for a change. After visiting several mma gyms, he decided he wanted to train under Tim Carpenter at Hellfish MMA. In only a few months Bennett's technical skills have improved significantly. 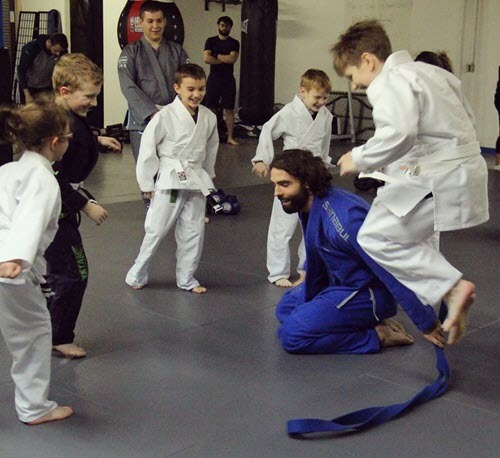 Tim is always on the mat with the kids, along with several other instructors so the kids receive individualized attention. Bennett is always excited to come to class, and we love watching him make progress each week!" 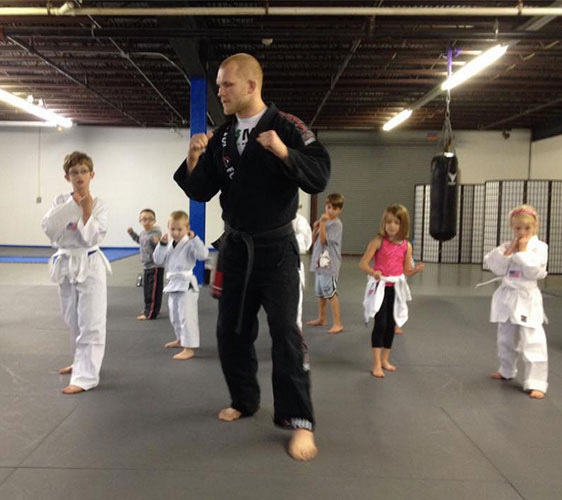 1) Our martial arts program is a full participation program. Meaning no child 'sits the bench' at Hellfish MMA. Your child's physical skills and abilities will continually improve because our system is on-going, not “seasonal” like most sports. Your child will get personalized attention to make sure they succeed in class. No child is left behind ( like can happen in other sports and activities) where more attention or 'playing time' is given to those that show a greater aptitude at the expense of the other children. Self defense skills (Your child will learn how to handle bullies. ​When you come see us we’ll be able to talk further about what your personal needs are and what you’re looking to get out of our program for your child. I promise you’re making the absolute best decision for your child’s future and well being. Give us a call and let us prove it to you! Would You Like More Information On Our Children's Martial Arts Program?